It’s officially spring, and even though it’s fairly chilly in Toronto, it’s a good time to look at your skincare routine and start transitioning it for the new season. Which is why I snapped up the invite for a facial at Miraj Hammam Spa by Caudalie Paris at the Shangri-La Hotel. “Now is a great time for a facial, to repair any damage from the winter season and to prep for spring,” says Alex Weisseneder, senior esthetician. Book a facial to get your skin glowing. One customized to your skin, as I had done at Miraj Hammam Spa. I have combination skin, so while my forehead was dry (I’m guessing from lots of sun exposure as I was just in Vegas and California) but the T-zone can get oily, so my esthetician chose the products to target my skin’s needs. Lighten up on your moisturizing cream. The heavier, richer cream you’ve been using for winter can be replaced now with one that is a lighter formulation, that is thinner in texture and oil-free. Some people are more sensitive to the weather changing, so pay attention to what’s working and not working for you during this transitional period. Besides the skincare benefits of enjoying a facial at the spa, Miraj is one of my faves in the city for its top-notch spa services but also its cozy lounge area. I’ve tried several treatments here, including the Thai massage. A couple of hours here is a nice way to get away from the chaos of the city and recharge mentally for the busy spring season ahead. If I could afford it, I’d go to the spa at least twice a month; once for a facial and for a massage the next visit. Going to the spa often looked at as decadent pampering but taking care of your skin and body (not to mention how the time at the spa can benefit your mental well-being) should be a priority. For that reason, I was happy to discover Hand & Stone Massage and Facial Spa last month. I was invited to try a facial there in exchange for a review, and I’m surprised I’d never heard of or seen the spa before considering there are 20 locations in Ontario. One location is just a short walk away from my home so it was super convenient, huzzah! The spa itself, in terms of set-up and decor, is pretty typical. Fairly clinical. Clean and quiet. I feel they’d benefit from less prominent stock photos of spa-ing. I think it detracts from the quality of the spa, especially considering they use premium skincare lines (Dermalogica, Yonka and Diego Della Palma). 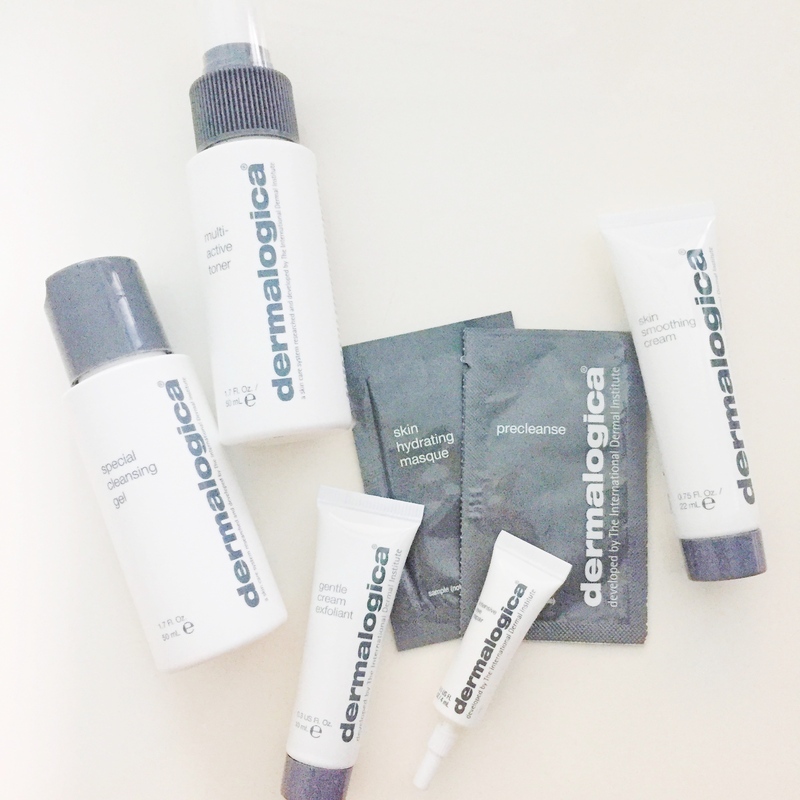 After assessing my skin and learning I wanted to focus on radiance, my facialist decided to use Dermalogica on my dry (but oily in the T-zone) skin. She asked me whether I wanted quiet time to relax or if I wanted her to walk me through the facial as it progressed, which I appreciated (I don’t think all spas think to ask). Key to the facial that day and for my ongoing skincare, she said, was to exfoliate a couple of times a week. Which I know I should do, but I get lazy. I left the spa relaxed and my skin felt great. What I like about Hand & Stone is that it aims to make facials and massages something you incorporate into your lifestyle. For your first introductory treatment, the cost is $64.95. And while you don’t need to have a spa membership, which is free, as a member you benefit from cheaper treatment rates (about $30 cheaper). The membership is based on going in monthly for a treatment, i.e. providing your credit card for a monthly spa treatment. Which if you can afford $69.95 each month, great (N.B. Adding on extras like a peel or serum, for example, costs more, and prices vary from location to location). But you’re not tied to going every month. You can cancel your membership at any time, cancel an appointment with enough notice (or else, yes, your credit card will be charged for the month), or put your membership on hold for six months to a year. I see it as a way to get a monthly treatment that’ll do you good and in a more budget-friendly way than many spas. And if you can’t justify that cost on a monthly basis, you just need to be diligent enough to remember to cancel your standing monthly appointment (the way you used to for Columbia House back in the day, or more recently with companies like Mint where I’ve ordered shoes from). I’d just schedule a reminder each month into my calendar so I could decide whether I wanted a treatment that month, and cancel in time if I didn’t. Just calls for being organized. And worse comes to worst: you forget to cancel in time and you have to get a spa treatment. Hardly an ordeal. My facial at Hand & Stone not only left my skin feeling great, but it was a good reminder to give my skin more TLC. I’ve applied a masque since the appointment, started again applying a serum or two at bedtime and have used the Dermalogica products I received after my facial. And my skin looks and feels better; it’s less dehydrated and a friend told me I looked more rested. Want to learn more about Hand & Stone? Check out www.handandstone.ca. Happy National Read in a Bathtub Day! I have to admit, I think I’ve only taken a bath at home once. It’s always something I want to do; I save bubble bath products for when I get around to it, but then I never get around to it. I do sometimes take advantage of the luxe hotel tubs though when I travel (less things I need to cross off my list when out of my place, I suppose). But since I’m trying to slow down a bit this year, I’m adding more baths into my schedule, and yes, reading in the tub. My tub is a standard condo builder type of tub, but I’d love a freestanding tub, you know when I grow up, haha. It’s usually the bathrooms in hotels that fill me with design envy. 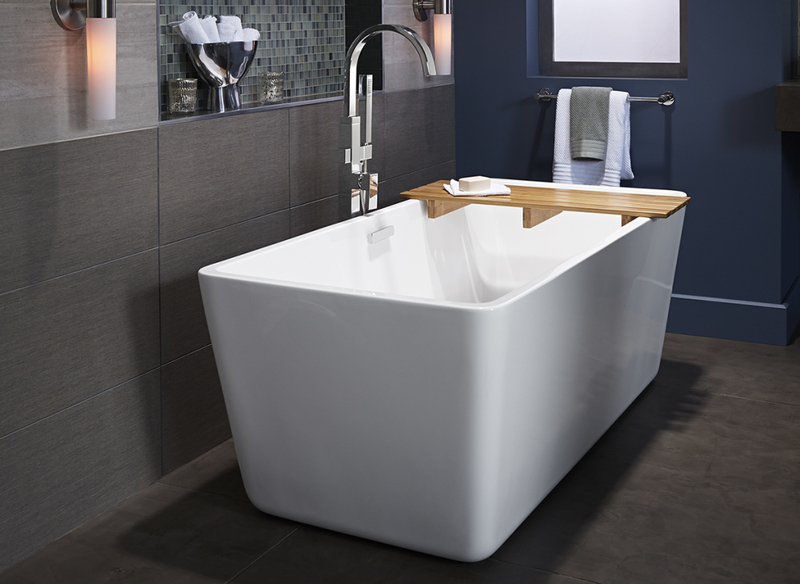 Soaking in this edgy Loft freestanding tub from American Standard (above) would be like staycationing in the hottest hotel in town. But none of these tubs would feel complete unless you were to have a nice, long, relaxing soak while catching up on a great book. And to help celebrate National Read in a Bathtub Day, I’ve partnered with American Standard for a fun giveaway! Enter and you could win a $25 giftcard to a bookstore so that you can get a great book for your bathtub reading. This giveaway is open to Canadian residents and ends at 11:59 p.m. EST on Tuesday, February 16, 2015. 1. Email me at healthandswellness@gmail.com with your name and mailing address (it just makes it quicker for us to send you the prize if you provide me with your address off the bat). Please put “American Standard” in the subject line. 3. Like both the Health and Swellness PAGE on Facebook (at the top of the page) and the American Standard Canada page as well, and then leave a comment on the photo of this American Standard giveaway — tell me which book you last read in the bathtub was. The prize is valued at $25 and the giveaway will close at 11:59 p.m. EST on Tuesday, February 16, 2016. Please note that this giveaway is open to Canadian residents only. The winner will be chosen at random. If I cannot reach the winner within five days, another winner will be selected. The winner’s name will be announced on the blog once confirmed with the prize winner. But I’m not the only one doing a giveaway — American Standard Canada is as well! But hurry to enter as their giveaway ends at midnight Wednesday, February 10th! They have three $25 giftcards to be won to go towards a book or two to read in the tub. You can find their giveaway on their Facebook page. Congratulations to Alison O., the winner of the giftcard to go towards your next great bathtub read! Check your email, Alison, for more details.